Our latest Airbnb Design — Talk features Nigerian-born, Philadelphia-based artist, clothing designer, and attorney Walé Oyéjidé. His work subverts ideas of isolationism, border-building, and exclusion. He presents a more hopeful reality: a vibrant, intersectional vision for the world where cultures harmoniously collide. In his tapestries and the designs for his menswear label, Ikiré Jones, he blends indigenous identity, classical motifs, and continent-spanning fabrics. The result is not only a celebration of unsung peoples and rich heritages, but also a compelling call to action to let each other in. 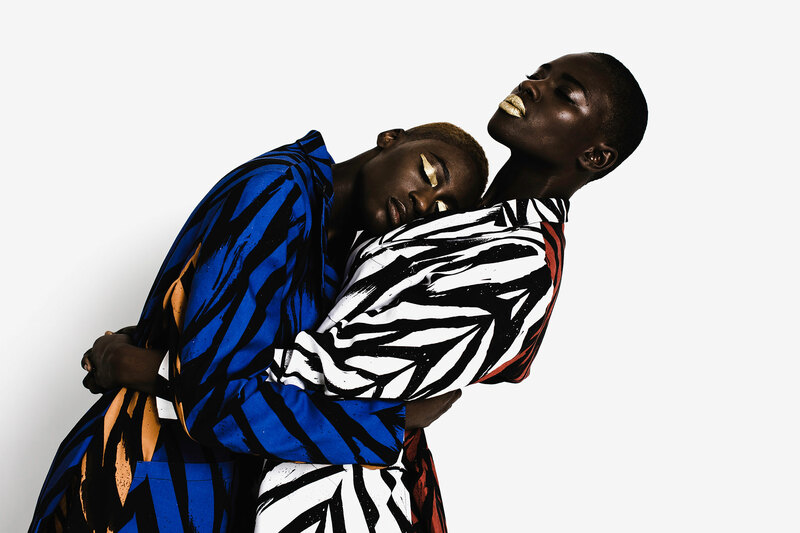 An exciting new voice in the art world, Oyéjidé has exhibited in museums around the world, from the Guggenheim Bilbao in Spain to the Tel Aviv Museum of Art, and his work has appeared in numerous publications, including the New York Times, Vogue, Monocle, and Fader. Join us for a talk and presentation of the Ikiré Jones menswear collection Born Between Borders. The evening will conclude with a conversation about identity, borders and belonging between Oyéjidé and celebrated poet, dancer, playwright, and Yerba Buena Center of the Art’s Chief of Program and Pedagogy, Marc Bamuthi Joseph. We believe in open doors instead of closed borders. In light of this, we’ll be collecting optional donations at the door to support the International Rescue Committee and the UNHCR. For information about our ongoing efforts, read this blog post. Sold out.